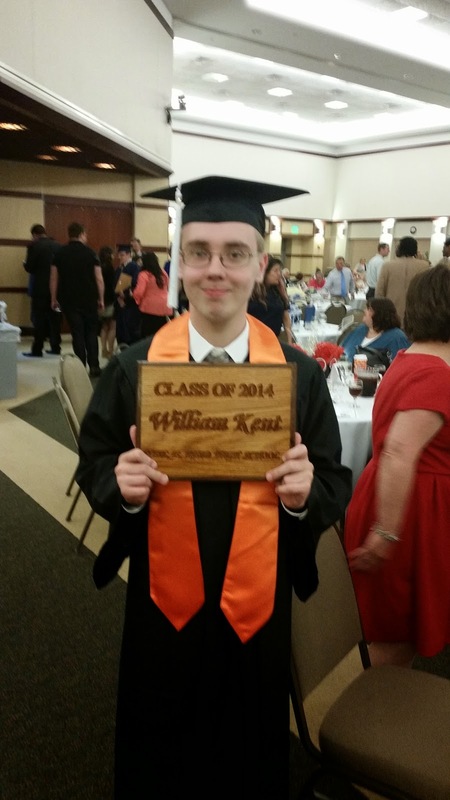 The Michigan Silverback: My Son Receives Major Award for Autism Courage! I have a bit of an announcement to make. Please bear with me. Hockey fans among us will remember Ted Lindsay, who--with Gordy Howe--formed the core of the great Detroit hockey teams of the 40s and 50s. He later became General Manager of the Detroit Red Wings and, as of last year, the NHL's MVP Award was renamed in his honor. He is still with us, aged 89. What is not so well known is that these l...ast few years he has taken a personal interest both in the challenges faced by autistic children and by their families, donating millions of dollars to the Ted Lindsay Foundation to that end. We have just received word that the Ted Lindsay Foundation has chosen to bestow the Ted Lindsay Courage Award on my oldest son William Joseph Kent. It carries with it a highly prestigious award trophy, a dinner where he will be honored, and a cash award to further his education. I'm stunned (especially after I almost hung up on the caller with the news, thinking it was a begging call! ).